In 1969 BAADER developed the press-separation process for the separation of soft and hard components. It is used for desinewing of pre-cut red meat, poultry and fish, and in the production of puree and juice of fruits and vegetables, as well as the de-packaging of small packaged products. Well-known, award-winning butcheries confirm significant quality improvements and increased revenues through the use of the Baader-technology. With the use of Baader machines they get a competitive advantage. More than 5500 machines sold in over 100 countries speak for themselves. BAADER informed the visitors at the IFFA in Hall 8 about continuous developments and options. Through constant development BAADER machines are always on the cutting edge of technology, thus ensuring the necessary competitive edge. 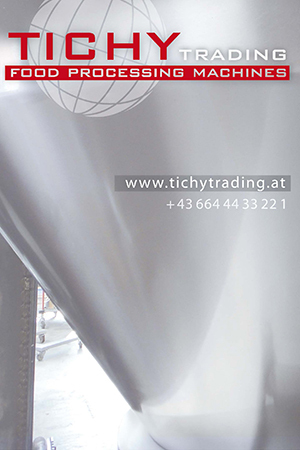 The success story of the support chain, which extends the lifetime of the squeezing belts is still being written and there are new options for the other machines in the range. This includes for example the new side feed belt for Baader 601 for improved ease of use. 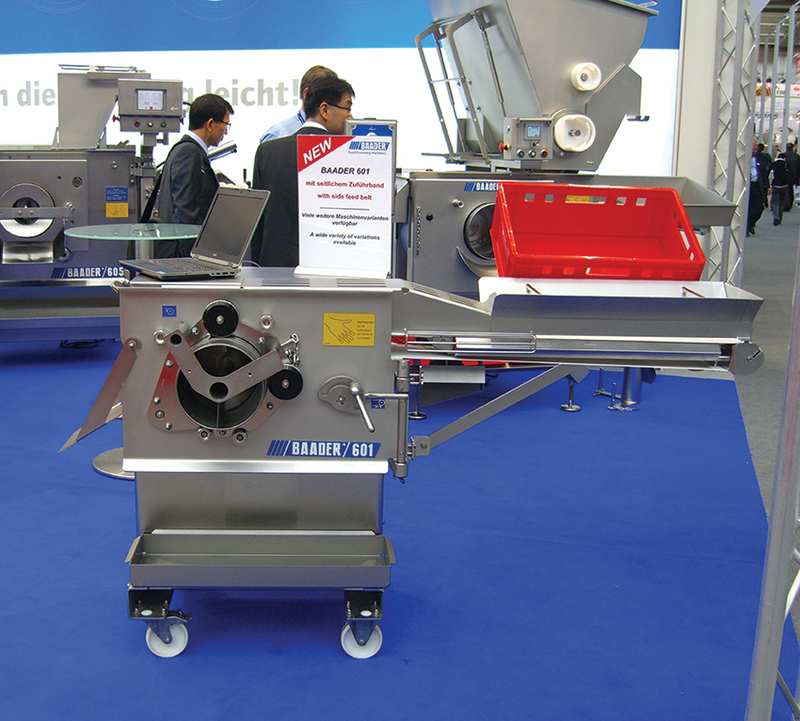 The Baader 600, the bestseller for the butchery was shown with a pipe connection and a dry-running-sensor. This machine combines the proven BAADER technology – the “baadering” with the possibility for smaller throughput rates. The powerful machine Baader 605 is equipped with a touch panel, which is used for system monitoring, eg for temperature control of the product. A special tamping device is integrated in these machine which makes it possible to process large pieces without mechanical pre-cutting. Due to this device one work step is saved and this results also in a higher quality product. The newest members of the 600 series is the Baader 604. These machine was shown with the above mentioned support chain, a feeding unit and a side feed tray. Baader places great emphasis on safety. Therefore, all Baader machines are equipped with the latest safety equipment.